This website is run by PHARMALOG – Institut für klinische Forschung GmbH; PHARMALOG – Institut für klinische Forschung GmbH – is entitled to all rights to the website. 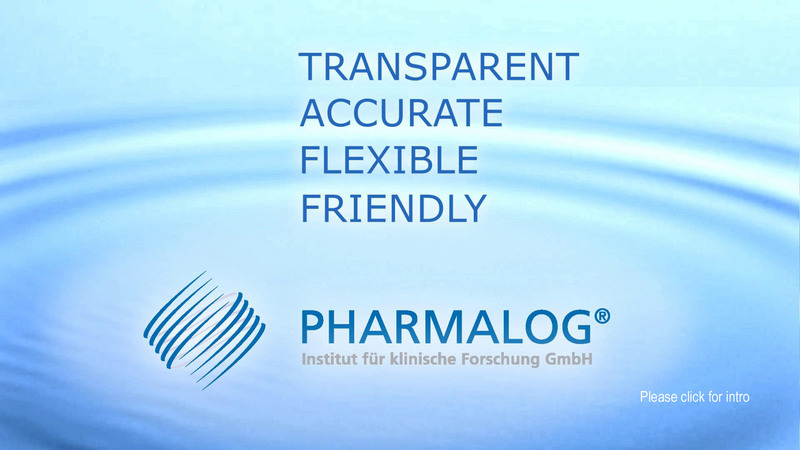 PHARMALOG – Institut für klinische Forschung GmbH – does not assume any liability for indirect, accidental or consequential damage arising through or as a consequence of use of this website. All information published on the website has been provided by PHARMALOG – Institut für klinische Forschung GmbH – to the best of its knowledge. However, insofar as legally permissible, all this information shall not establish a warranty, promise or any liability on the part of PHARMALOG – Institut für klinische Forschung GmbH. PHARMALOG – Institut für klinische Forschung GmbH – can, at its own discretion and without assuming any liability, change this website in full or in part, and discontinue running it, at any time without notice. Links to third-party websites (“hyperlinks”) do not constitute an endorsement of such sites or their content by PHARMALOG – Institut für klinische Forschung GmbH. Moreover, PHARMALOG – Institut für klinische Forschung GmbH – is not responsible for the availability of these websites or their content. Separate male and female grammatical forms have not been used so as to make the contents easier to read. Such terms apply equally to both genders in the spirit of equal treatment.